Braga, Portugal, 1983; Lives and works in São Paulo, Brazil. 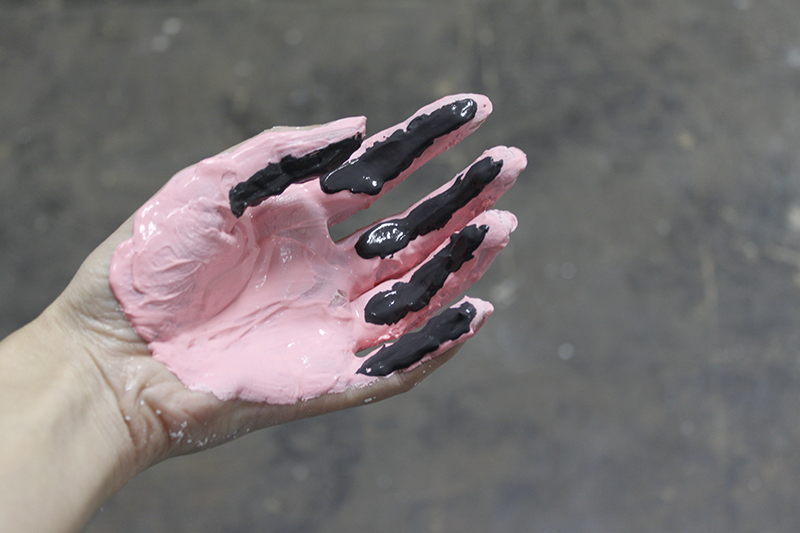 The hands, in the work of Flávia Vieira, assume roles that extrapolate that of mere executors. They have a kind of wisdom that allows them to translate, in forms, ideas that inhabit a certain imaginary. In this case, they investigate the one referring to a “Brazilian”, either from the popular culture – the straw braid of the mats produced in the north and northeast of the country, or the samba culture – or the more institutionalized culture – Geometric patterns present in the Niemeyer architecture or neoconcrete art. His work underlies a reflection on the manuality and the dualisms that support it, such as the “optical” and the “haptic”.